Beat Displacement Tutorial Part 3 : Polyrhythmic Displacement & More! In this video we’re going to take a look at more sixteenth note displacement ideas. Focussing on only one groove in this video, we explore some of the options for displacement outside the realm of the obvious. We’ll start by taking a piece of the groove and displacing it as a short groove variation fill. We’ll use that bar with the half displacement next as it’s own groove. Then finally, taking a four over three polyrhythmic phrasing across two bars, we’ll continually displace our groove to line up with that until we force a resolve at the end of the phrasing. Some very cool stuff! This video is intended to help you open your mind a little to exploring rhythm. Not so much to just cop this groove. That’s cool, but you should try and be creative, make your own based off my idea! The drumset is a Sonor SQ2 Beech Vintage with three Designer Maple Light snare drums. Great lesson, this stuff is righteous! Thanks for sharing man! Great lesson,﻿ this stuff is righteous! Thanks for sharing man! Great﻿ lesson, this stuff is righteous! Thanks for sharing man! Great lesson, this stuff is﻿ righteous! Thanks for sharing man! Great lesson, this stuff is righteous! Thanks for﻿ sharing man! Great lesson, this﻿ stuff is righteous! Thanks for sharing man! Great lesson, this stuff is righteous!﻿ Thanks for sharing man! Great lesson, this stuff﻿ is righteous! Thanks for sharing man! Great lesson, this stuff is righteous! Thanks﻿ for sharing man! Great lesson, this stuff is righteous! Thanks for sharing﻿ man! [..YouTube..] Great lesson, this stuff is righteous! Thanks for sharing man! [..YouTube..] Great drumming Bro !!! I do have a book out but it’s beginner stuff. 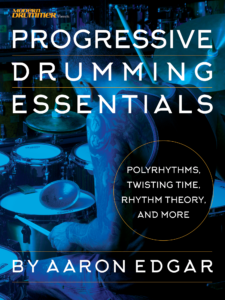 I am planning both a DVD and more out there drum concepts in books. 🙂 I haven’t got anything solid for dates on them though.